Elbow Tuck Surgery (also called Elbow Lift) is a cosmetic surgical procedure to remove the excess skin around elbows. 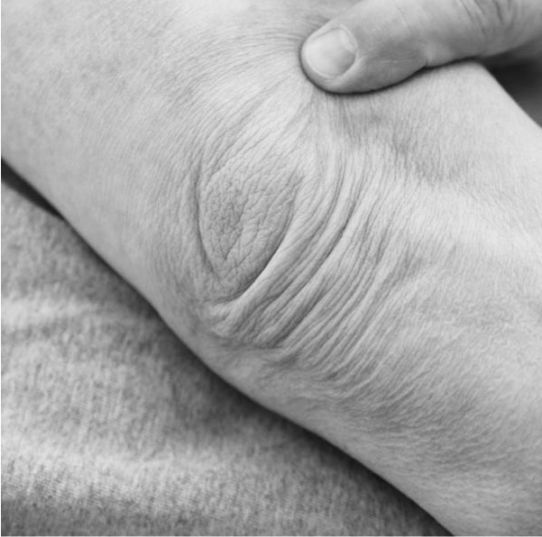 With age and sun damage, the skin around elbows starts to lose elasticity and becomes loose and crepey. Dr Jadoon is one of the few doctors in Perth to offer this procedure in WA. Elbow Lift Surgery is a minimally invasive procedure performed under local anesthesia as day surgery. Excess elbow skin is carefully marked and a local anesthetic solution is injected in the area using very tiny needles. Once the area is fully numb, Dr Jadoon carefully removes the marked skin using a Radio-wave surgical device. The procedure is virtually painless. Absorbable sutures are used to close the surgical site along with tissue glue. The elbow area is extremely mobile and it is important to minimize the movement of arms during the initial healing phase. The wound usually takes about 10 days to heal. Dr Jadoon recommends having one elbow treated at a time to minimize the risk of delayed wound healing. The scarring associated with this surgery is minimal since only a very small area of skin is removed. Any scarring starts to fade away within weeks and can be easily covered with concealer. For your peace of mind, we have the most extensive range of scar reduction treatments under one roof in WA. Elbow lift surgery price starts from $5500 (all inclusive).